… until Pink Box Desserts showed up. We noticed Pink Box hidden away in a small plaza in Dartmouth a few months ago. Mom and I vowed to stop in one day and fill up on goodies, but after some online research, decided to hold off a bit due to the prices. We Fall River gals are used to the mom and pop bakeries where you can walk out with two boxes filled with pastries for only $7. At Pink Box, a 14” cake is over $100. It’s that kind of place. To me, this could mean one of two things: The desserts are out of this world or completely overpriced. I decided to check them out on – of all days – Valentine’s Day. I was dying for a macaroon and so was Mom, but when I walked into Pink Box the line was almost out the door. Annoyed (as always when I have to wait), I got in line and tried to see what was in the bakery cases, but couldn’t due to the crowd. All I got was this picture of the macaroons in their refrigerated case. When it was my turn to be served, I chose four macaroons: green tea, honey lavender, salted caramel and crème brulee. The girl behind the counter had to go in the back to retrieve the green tea macaroon because it was still frozen. She warned me not to eat it right away, and according to the website, the macaroons are best eaten at room temperature. My total came to $10.62 for four cookies. We’re not used to spending that much on so little, so Mom and I were hoping that they were worth it. When I got them home, the cookies were thawed and ready to be devoured. We first tried the honey lavender. This was – hands down – one of the best desserts I’d ever eaten. EVER. I hesitated trying the other macaroons because I didn’t want to taint my palate with another flavor. It was basically perfume for your mouth. The cookie was lavender with a honey center. I can’t say enough about how good this was. The other flavors – salted caramel, crème brulee and green tea – tasted exactly like they were supposed to. You would be able to tell what you were eating without even looking at the color or the cookie. The green tea had that tea bitterness yet was so tasty in macaroon form; the salted caramel had tiny bits of salt on top and a thick layer of gooey caramel in the center; and the crème brulee was a shocking bite of sweetness. The macaroons at Pink Box were better – and bigger – than the ones we died over at the Danish Pastry House. Pink Box Desserts has a lot of different delectables to choose from. Although we only tried the macaroons, the eclairs, cupcakes and other goodies looked amazing. 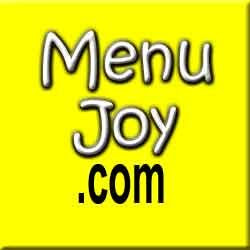 Please check out the menu by clicking here. Bring your wallet and your taste buds because you’ll need both. You will not be disappointed.